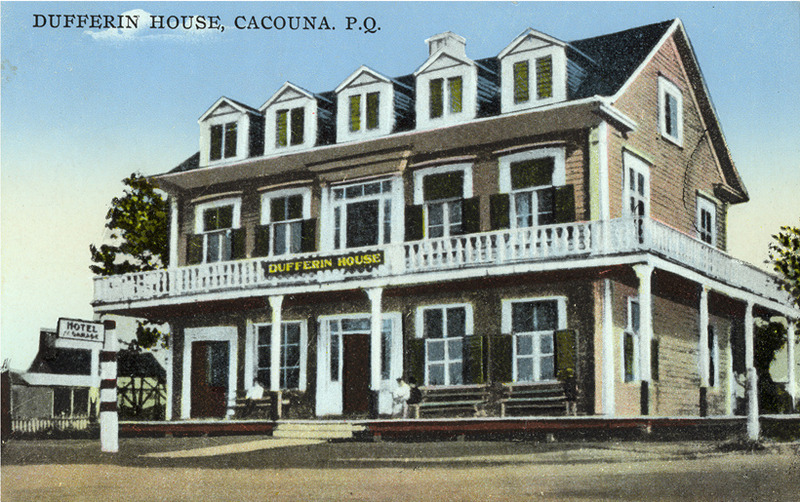 The Dufferin House facade, around 1903. With the increase in tourism, several stores and hotels were built . 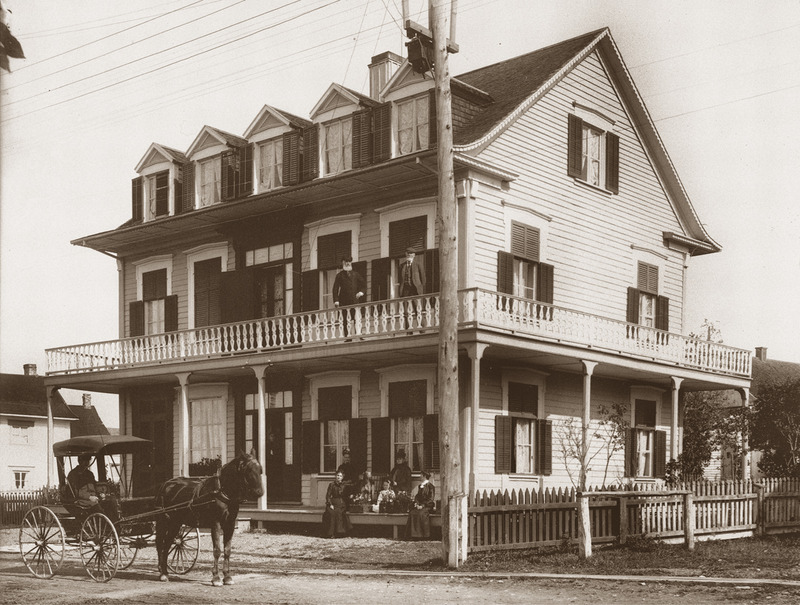 In 1864, Abraham DeVillers commissioned Louis Dubé, a local carpenter, to build him a good-sized house in which he set up a general store on the groundfloor. During the summers he rented out some of the family’s upstairs rooms, as well as a section of his stables. Monsieur DeVillers provided tourists with transportation and ice, two indispensable commodities in those days. Jeremiah M. Pollock, a traveling salesman, purchased the house in 1893. He added another story and made it over into a monumental-style hotel, with rooms for fifty guests. In addition to all the amenities of the times, the hotel offered a magnificent view of the river from the broad veranda. A dance hall set up in a building in back of the hotel was a popular attraction.